Found a nice old gem from youtube the other day, a French Canadian co-production of the life and adventures of Capitaine Jean Roch Coignet Grenadier de la Garde Impériale. 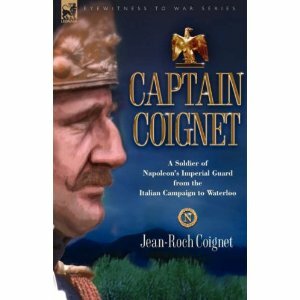 This is a dramatisation of the notebooks of a napoleonic guardsman, who served all the way through from the Italian Campaign of 1800 to Waterloo in 1815. The production quality and historical accuracy is fairly good, even though the series is quite old. It was made in 1969 when computer generated extras were not available, and the battle sequences don’t have thousands of extras milling around. You had to have access to thousands of red army conscripts to do the big battles in those days. Recommended for Napoleonic buffs. The books are available from Amazon as well.